Getting backyard chickens for the first time can be an exciting and nerve-wrecking experience. What if I forget to lock my coop at night? How do I stop predators attacking my hens? These questions ran through my mind repeatedly when I got my first backyard chickens. I would constantly be checking on my girls every 30 minutes or so, to make sure they were still alive! 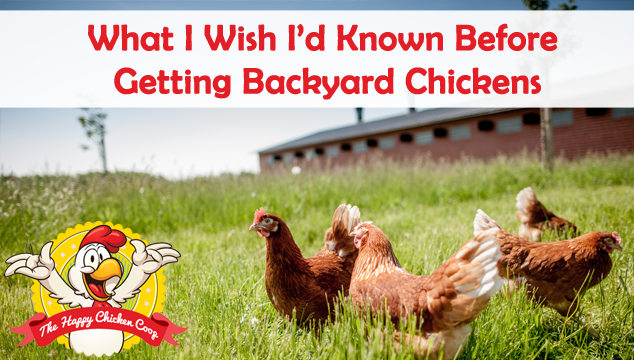 To help both, first time, and experienced chicken keepers, we’ve decided to get in touch with 47 backyard chicken keepers to find out exactly what they wish they knew before getting backyard chickens. 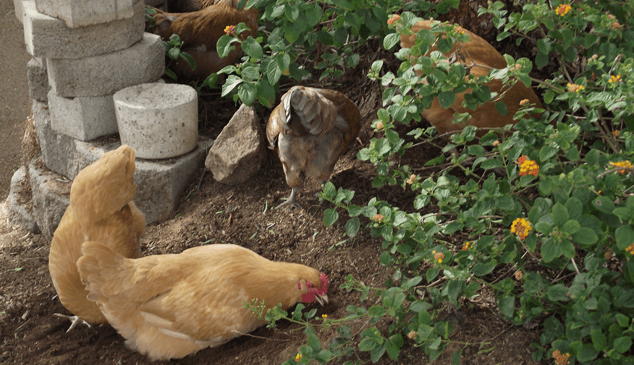 We received responses from 47 experienced chicken keepers and it’s time to learn the key things you need to know before you raise your own backyard chickens. I wish I had known about chicken math. 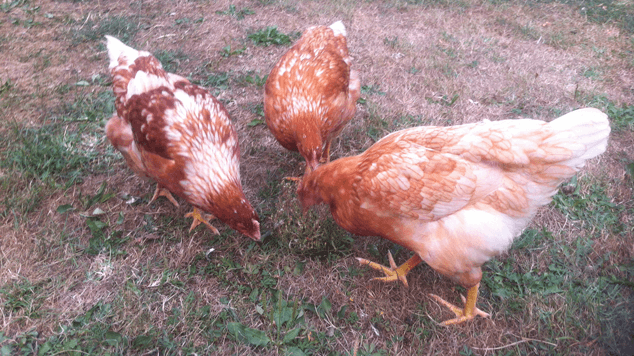 Plans for one or two chickens turn into three or four… or ten! But then you see another cute chick and get curious and before you know it- you have even more chickens. The list of reasons goes on and on, which leads me to my point… Build a bigger chicken coop than you think you need – David B. How much fun it would really be. I would have gotten them a lot sooner! It really has been a blessing for me and my family and I really feel it has brought us a lot closer together – Marie P.
Be flexible- Things will not work out exactly as you plan them. Chickens are much tougher than many people would have you believe. 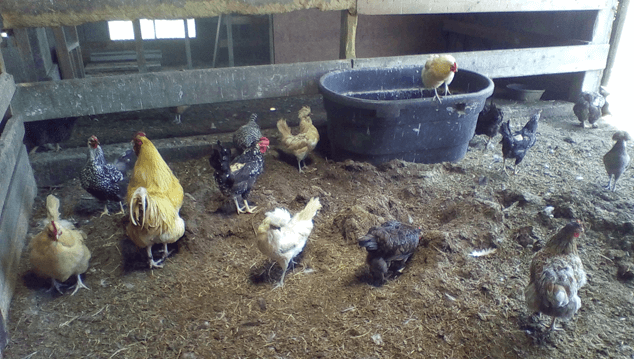 Chickens were taking care of themselves long before they were domesticated and even today’s domesticated breeds can still take pretty good care of themselves with a minimum amount of help. The main one- don’t crowd your chickens. The more you crowd them the more behavioural problems you are likely to have to deal with, the less flexibility you have to deal with problems, and the harder you have to work – Ridge R.
I have helped people with chickens for around 5 years then I took a break and now I’m starting up again. I wish I knew how to keep chickens healthy! 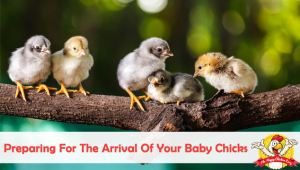 My first chickens got scaly leg and it was ugly– if you research these common illnesses before you get chickens you will be prepared for when they get ill – Liberty R.
How much personality these little girls could have. I learn something new every day from them. They are hilarious. 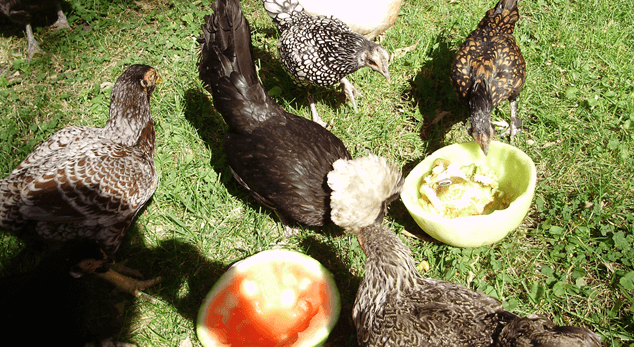 And they are a-lot smarter than people give them credit for – Diana S.
The answer to the question of what do I wish I had known before getting backyard chickens is really a tough one when one delves into the minds of chickens. I really wish I had known more about the pecking order. Really that is the one thing I seem to have had the most trouble with. No matter what tricks I have tried someone always seems to end up getting picked on more than what is reasonable. However, common sense goes a long way with keeping chickens but having a great resource to look things up on and ask questions has really taught me more than I ever thought it could – Barbara H.
A year ago, my closest encounter with everyday chickens was at the supermarket. I had no idea about various chicken breeds, their characteristics, or even their feather colours. Definitely had no concept on where to house them, what to feed them, or what to do if they get sick. I don’t think there was only one thing to know before raising chickens. To me, there were tons I wished I had known in the beginning. 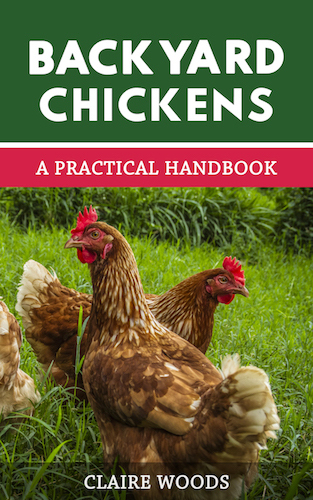 Particularly, it would be nice to have some quick rule of thumb recommended guidelines on chicken housing as a start – Yellow C.
Note: You can find the guidelines here. The best tip I’ve learnt is to use sand in the coop. It’s so much easier to clean, doesn’t smell and it looks nice. Plus, the chickens love to roll in it. It would be: how often chickens do the unexpected. I wish I knew how hard it was to try to keep control of them. They go on the road over and over again, and eat things they aren’t supposed to. You think it would be so easy just to stop them. It isn’t! They are so stubborn – Carmen G.
One of the biggest things I wish I’d known, well I knew but didn’t think I’d have a problem with is: rodent control. Mice, rats, chipmunks and squirrels are always around but they aren’t a problem until you HAVE a problem. If you want to deter them, use an evasive weed such as mint plants. It’s a fast growing ground cover that will take over the run (and beyond) that rodents hate the smell of – Egghead J.
I wish I knew more about predators in the beginning. Lost some chickens to them. I still have to deal with them now and then. I don’t kill anything, I simply relocate the Predators. Hawks, Raccoons, Skunks, and Possums are the most common ones – Rich C.
Note: Relocating predators can be illegal in certain states, so make sure you check first! I have to say, I wish I would have known how big to build their run sooner. I had no idea what a chicken looked like in real life- I did not know they got so BIG! So when my dad built their cage I thought it was perfect… Until they got past 12 weeks and kept growing – Sammi L.
It’s hard to say as two things jump out at me. The first is: I wish I had known to order pullets when I ordered chicks instead of a straight-run so I could have avoided a lot of excess cockerels. The second is: I wish I had known to use hardware cloth on my run instead of chicken wire as I lost a lot of feed to rats squeezing in through the openings in the chicken wire mesh and had a possum tear through my chicken wire – Michael O.
I guess I wish I knew polish chickens get skittish because their top hats block their view- they need a good trim every now and then – Makela J. The thing I wish I’d known? The experts aren’t always right for every situation. Many things I’ve done wrong because of lack of money have turned into benefits. 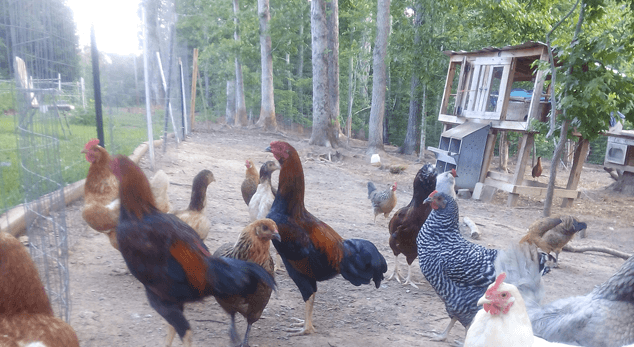 For instance I had to use tall fences but this ended up discouraging climbing predators – Ray C.
The one thing people could do that would make chicken keeping easier is to ensure they have an appropriate chicken coop. This means making sure the coop is well ventilated and also secure against predators and has enough square footage per chicken – Enola B. Personally I prepared and planned nearly 2 years before making the plunge. The main thing that honestly surprised me is how large full size chickens get and to emphasize: build your coop larger than you think. I had read that over, and over, and over and it really sunk in when my six chickens were fully grown and I had to increase the size of their coop and run. The second thing I’d advise is to have a “sick bay” ready. 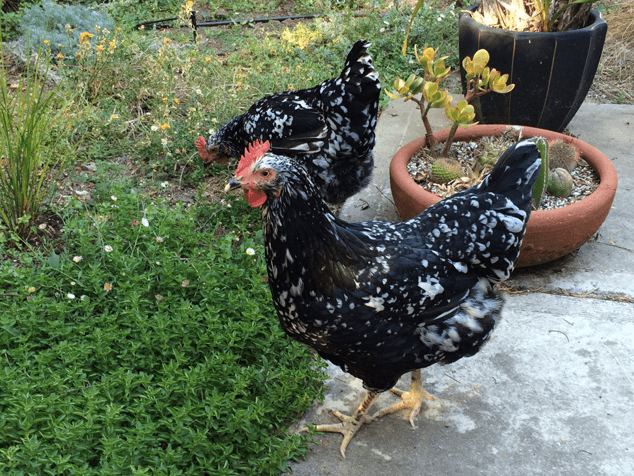 Never thought I would need one, but was so glad I did when one of my gals got ill this year – Sunflour F.
One thing I wish I knew before we got them is how amazing roosters are. They’re truly amazing and it’s sad that in most places (including where I live) you can’t keep adult roosters – Cascadia R.
I read everything available before I started, researched the breeds I wanted etc. I did that for just over a year or so, and then I built my first coop after scanning who knows how many designs! My thought was that if I’m caring for something alive and breathing then I’d better be prepared! The one thing I would have liked to have known is how to plan for the future. My original coop was plenty big for the original ladies, but I forgot that I would have to add to the flock at least every other year to maintain egg production. 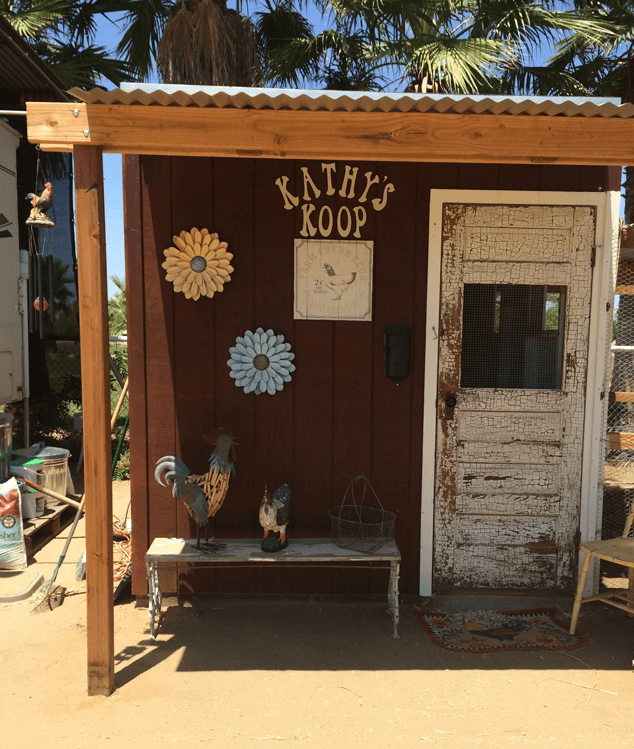 So I ended up doing an addition to the original coop and built a second coop this year – Sue N.
I wish I had known that there are no avian vets in my area. If something happens to one of my hens- I’m on my own. 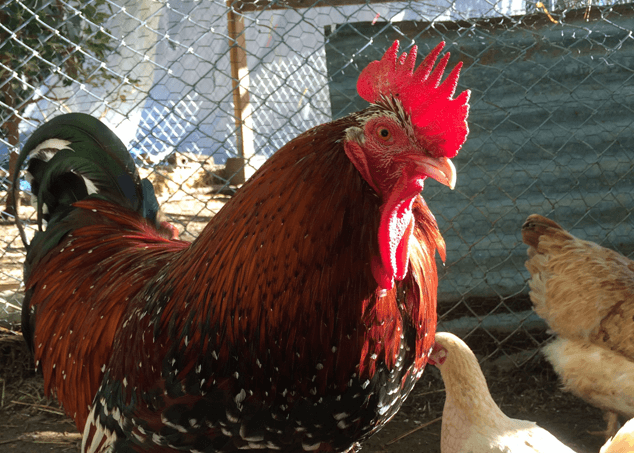 So make sure you are knowledgeable about illness and diseases, so you are prepared if something does happen to your chickens – Kathy R.
Prior to getting my chickens I tried to do a lot of research on them and the breeds that I wanted. I read everything I could get my hands on so I could prepare myself for raising them. But- most of what I have learned has been just from experience! The one thing I wish I would have known before getting them would be how addictive they are. I absolutely love new breeds and adding them to my flock. I started out with 5 chicks one day last July and today I have almost 30 chickens. There is just something about stepping out into my backyard and having them follow me around and going to collect eggs- it makes me feel a sense of pride – Jennifer S.
There are so many things I wish I’d known in advance, but in all honesty the one thing I didn’t expect was that I would become so attached to my birds. Each has their own personality, and whilst they may not be as affectionate as a cat or a dog they are still very much individual pets to me. 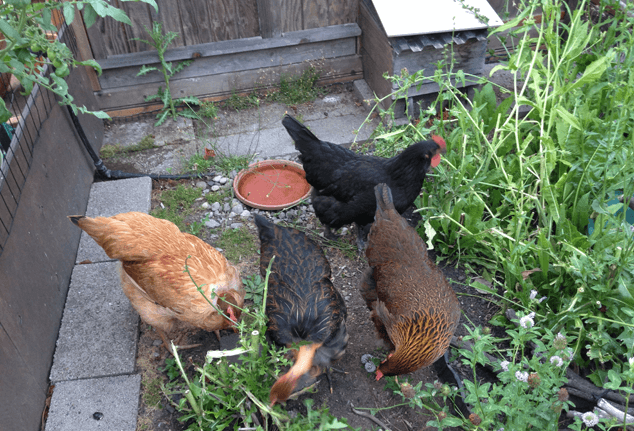 The other thing I wish I’d known about is how ‘chicken maths’ can get you – from an original 3 pullets I am currently up to 15 birds! 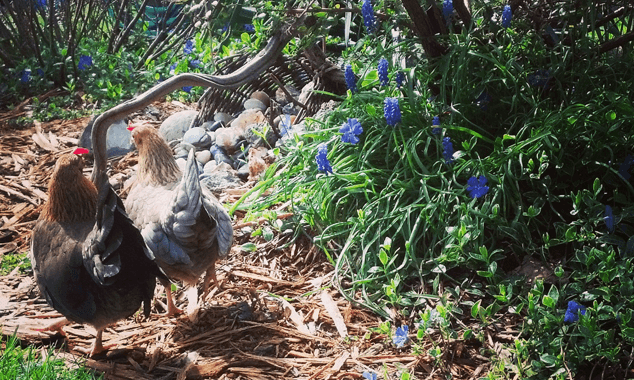 They are just so much fun to have around in the garden, and of course the fresh eggs are great – Katy T.
The one thing I wish I had known was the cost of building a coop and run. Definitely wish I would have checked that out before I got my chickens. I would have done better financial planning – Jonez J.
I had no idea they could poop so much and so often. It’s important to remember this when deciding how many birds to keep and how to keep them. 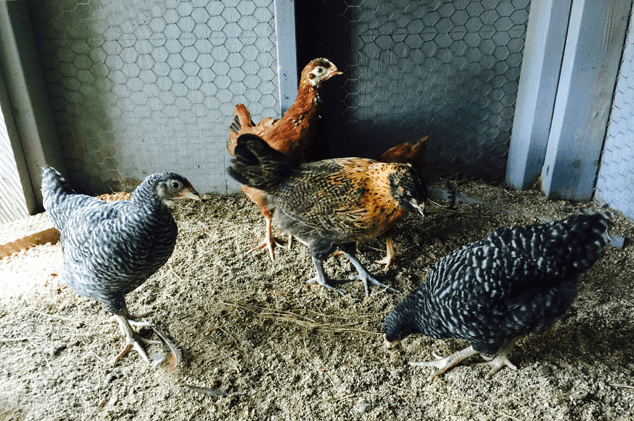 The blogs talk about square feet per bird, deep litter, sand, trays, poop boards, but don’t really address how much poop a new chicken keeper will be dealing with – Sheri M.
I’ve been raising them for about 2 1/2 years now. 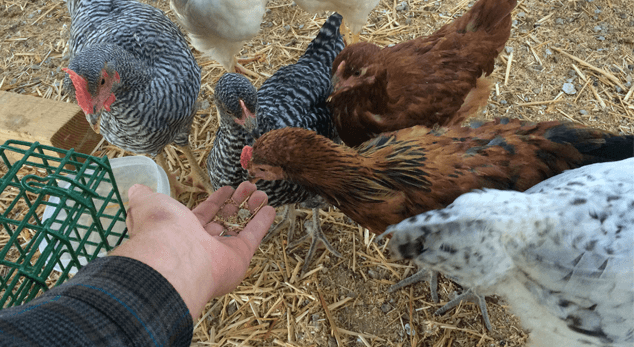 The one thing I’d wish I’d known before I got chickens was how cool of a pet they are – would’ve gotten them sooner if I’d known – Dave C.
Mostly we learn as we go. One thing I learned the hard way was about raccoons. Once they know there is a food source (your birds) within the coop they are relentless and it is very difficult to predator proof a coop from a determined racoon. They can climb, they can dig, and they are extremely strong and can rip chicken wire right off of your coop! However, once the offending raccoon was dealt with the attacks stopped – Joey M.
The most important thing to think about is whether you are going to mix breeds or have a single breed. Make sure you pick breeds based on docility. 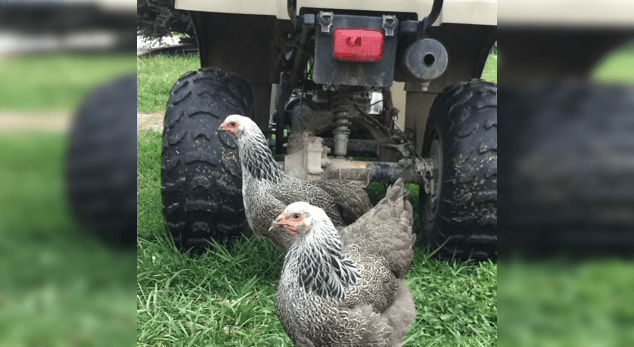 Also if you aren’t going to let your girls’ free range, build a very big run – Lynne H.
I guess my biggest thing was how to choose from all the different advice out there. I kind of stressed over that until one day I realized that no one was wrong. What worked for them was great but it probably wasn’t going to work for me. So I started researching a question and looking at all the answers. 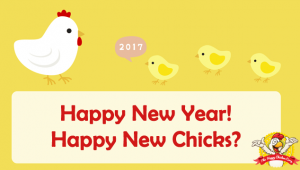 If I saw a trend leaning toward the same answer I felt like I could try that – Angie C.
The one thing I wish I had known before I got backyard chickens is that setting up for them requires a lot of DIY skills and work, and so if you are someone like me — a person without tools, knowhow, or a handy spouse who enjoys that kind of work — you need to have a line-up of friends/other family who will have time to help you out – Giselle B. The one thing I wish I had known before I got chickens is what a joy they are to have. I would have gotten them a lot sooner than we did – Patty H.
I spent a lot of time doing research and my vet is willing to help and explains to me what I don’t know. The key thing is: chickens get sick. So make sure you have antibiotics ready as they usually get sick on weekends or holidays – Liliana C.
Originally, I grew up on a farm so we had a bit of everything. A lot of what I know came from that and the rest is from extensive research and asking questions. I don’t think there is any one thing I wish I knew before hand, all my mistakes I have learned from and haven’t had any drastic ones. Advice I would give for a new chicken owner, plan for at least twice as many as you think you’re going to get and be prepared for the unexpected – Ravyn F.
33. If a 5 Year Old Can Open The Door, So Can a Raccoon! The main thing I wish I would have known is how to protect my flock from predators. Just an hour ago I found my rooster fighting with a hawk! He’s ok because I heard him scream and ran outside to help. I found one of my hens a little bloody but she’ll be ok. I’m so proud of him! Roosters can defiantly be a pain but they are great at protecting their hens. I also wish I had predator proofed my first coop better. I’m sad to say this but I lost a lot of chickens because the coop wasn’t secure. If a 5 year old can open the door so can a raccoon – Megan S.
One thing? Just one? Ha-ha… From being little, to now, I would say I wish I knew how much it took, preparation wise. I always just thought the chickens just walked around and plopped out an egg, no worries. But predators, weather, worrying about them eating right, making sure they’re safe but free to be chickens roaming the yard. It’s almost like I mother them, too! They have such different personalities. I guess to put it simply; I wish I had known that they aren’t just “birds”. Lol they really are unique and fun – Short G.
Now I like watching them do what they do. I know how they think and that helps me raise them so I’m able to raise them and not feel afraid – Lisa O.
I would have liked to have known about the wobbly fence. I struggled for a long time to keep chickens contained before discovering that chickens won’t fly up and perch on a wobbly fence (they need to feel they can safely land up on top of it, and then they can jump off). It is also cheaper and easier to enclose a large area that way so now my chickens have a super huge yard of their very own. I haven’t had any problems with escaping chickens since I decided it didn’t matter what the fence looked like as long as it was as large as possible and kept my flock safe – Cherie N.
Regarding your question, one thing I wanted to know was that they grow so fast! I had my 10 chicks (which I bought in an impulse) in my garage in a 2×4 plastic storage container that they outgrew so fast I had to get another brooder to separate them. If I’d known this at the start I would have built them a coop much faster – Kris S.
Just like children, no matter how well you look after them, chickens do get sick. Educate yourself on how to treat the most common diseases / injuries (worms/bumblefoot etc.). This way, you’ll know what to look for before it gets out of hand – Samantha A. 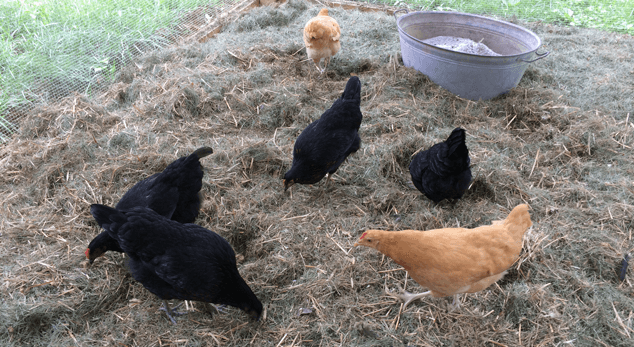 Probably the thing I wish I knew most about before I got backyard chickens is the number of things / illnesses that can go wrong with a simple backyard flock – Ali A. It should always be remembered that breed descriptions are generalizations, based on the average character of the breed. Individuals will vary based on the environment and breeding. 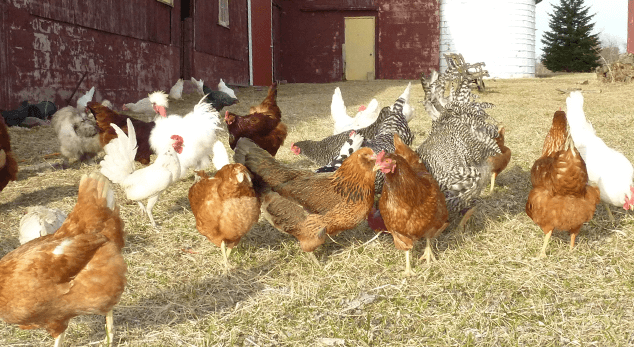 When it comes to hatchery stock, there is little variance between the common breeds. 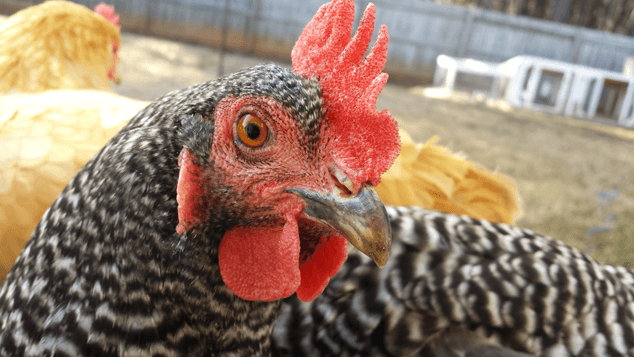 They will have approximately the same rate of laying – an average Barred Plymouth Rock will lay just as well as an average Speckled Sussex – Misha Q.
I think you should make sure to decide on how many chickens you want in advance and build a coop which is double that size! I should have gotten a bigger coop for my girls and I have four right now, but would like more! I did research for a year before committing to getting baby chicks. But the coop size was underestimated! The one thing I wish I knew before owning chickens is just how important quarantine is. If you fail to quarantine a new bird before introducing it to your existing flock and it can end up bringing a disease in that is highly contagious it has the potential to wipe out your entire flock. I haven’t had that happen to me personally, but I do know of some who have. When I went to add a couple of new pullets to my flock when I first started I had no idea about quarantine and it wasn’t something I was prepared for so I had to gather up what materials I could to make a temporary cage for them to live in for 3-4 weeks before they could be introduced to my existing birds. It was a lot more work than I was expecting – Kay S.
I’ve only just been raising chickens for about a year now, adopted them as adults. It’s been a learning process for sure but the great thing is they seem to allow for mistakes. They aren’t so fragile. I think one thing I’ve wished for is contact with other people who raise and care for chickens. There are many people in my local area (in fact I met someone who kept chickens and ducks in a tractor pen just yesterday) but I’ve never seen anyone else handle chickens before, so I just kind of go about it my own way – Sphinx F.
I’ve owned chickens for about 3 1/2 years, but we (my family and I) have had so many issues that we’ve had to learn a lot in a hurry. Predators, illness, integration, egg laying problems, “surprise cockerel” just to name a few. 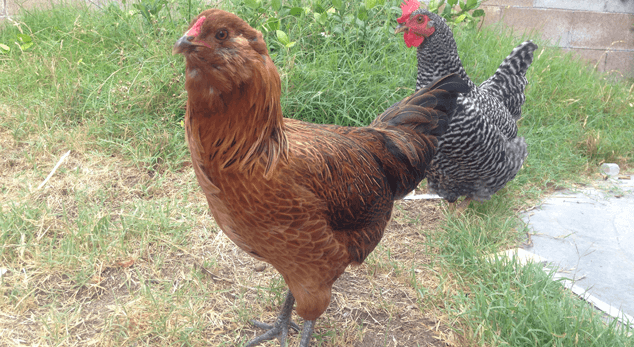 What’s the one thing I wish I had known before getting backyard chickens? I really have two things. 1) How helpless I would feel when my chickens got sick as we don’t have a chicken vet in our area so we had to rely on the internet and feed stores for information. 2) Predators! We had no idea that our house was right in the middle of bobcat corridor. We have had so many bobcats trying to eat our chickens it’s been insane. We haven’t been able to let our chickens’ free range since. We just invested in an electric fence and hope this will finally keep the bobcats out of our yard – Janet S.
The one thing I’ve learnt is you can’t have too much coop or run space, and I wish I had learned more about predators. 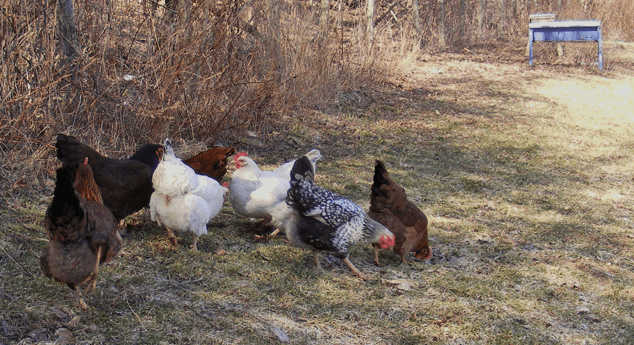 After years of never losing chickens the predators came around big time, perhaps because more houses and developments are going up so they gravitate to the area where the woods and fields still are – Dekel L.
It’s a tough question. I sort of already had an idea of illnesses, commitment requirements, and the work they require etc. So I guess it would be how addicting they are. After I had three or four breeds in a flock, I wanted more and more! Then I wanted to try other poultry species, and it just went on from there – LRH. I just started raising them a little over 2 months ago with no experience. It has been trial and error. I researched as I went and had no idea I would fall in love with chickens the way I have. 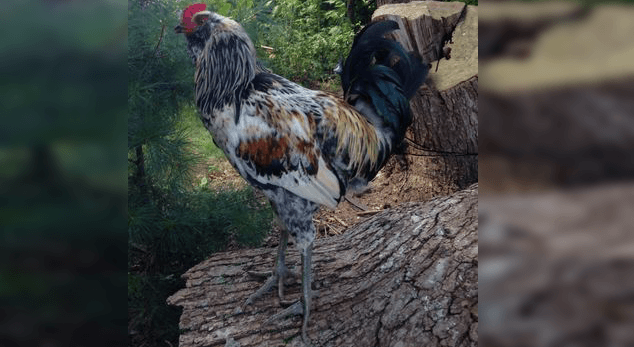 I really wish I would’ve known more about the breeds and also done my homework on the local feed stores – Jahaira I.
I really hope these 47 points help you raise your backyard chickens! Be sure the city you live on allows backyard chickens! Good article. I too, am in the learning process on caretaking laying hens. I have heard that I need one nest for four laying hens. How much space do they need to move around in. We have 26 hens and four two month old hens. I pretty much quit losing chickens when I got an African Goose. He was run over in the street and I just got another. Happy when he is all grown up. Penned with almost 20 female runner ducks. Acts like their daddy. The head of ranch security is an old farm dog named Bob. They hang around him every night. We have had chickens for about 5 years now. we live in a semi- rural area. Our street is unpaved with about 8 houses on it, each with about 1 1/2 acres. There is a large wetland area at the end of our block. we have coyotes and raccoons and eagles in the area and an occasional bear. My best advise is to get a very fast dog of at least medium size. We have a German Short-hair pointer that we have trained not to go after the chickens when we let them out. Because she is so fast, she unnerves predators. She has driven away the raccoons and the eagles.it also helps that there are a lot of dogs on the street that occasionally get to roam around. With a fast dog though, you will need to have lots of room for it to run. Hope this helps. I wish I’d have known about Duckweed, the girls are mad for the stuff and it grows so fast I don’t have to buy feed! Bug zappers and duckweed, worth their weight in golden eggs! Also CD’s in the coop to keep the birds out, I must have lost tuns of feed back before I discovered duckweed. The Happy Hen House (an old camper painted barn red) from Ryegate, Mt….thank you all for the handy hints…..free-range eggs are the best health to you all! Such wonderful tips and very helpful information! Thank you kindly. 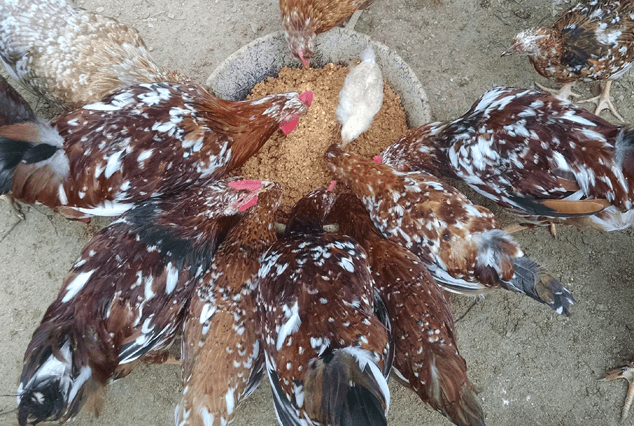 I am a newbie to chickens: I purchased 6, 3 day olds and they are now 3 months and all doing wonderfully. I spent a LOT of time researching before I even made an attempt to acquire my birds and I’m very glad I did. Their coop is beautiful (it’s 6×8~yes large, but that was intentional) and their enclosed, attached run is 9×12, with a height of 8 feet. They’re completely addicting and my only regret is that I did not “get into them” sooner! Thank you again for all this information~LOTS of happy reading for me!!!! Congratulations on the start of your chicken journey and I’m sure it will be a wonderful one! I’ve got 2, 4 year old RIR’s, a 4 year old Barred Rock, a 3 year old Buff Orpington, a 2 year old Leghorn & 9 newbies this year: 4 RIR’s, 2 Dark Brahmas, A Legbar, a Favaucana & a Blue Americauna. To say keeping chickens is addictive is an understatement! I only hope I can give back to my girls at least as much as they have given to me. I really enjoyed the above article. It proves that you can never know everything and that constant research is a must when you’re responsible for so many lives. Thanks for all the useful information.I have had my 3 chickens for 10 months. Learning every day. They are great characters and their eggs are wonderful. Does any one have any helpful information about keeping chickens healthy during the cold winter months? One of my girls is going through a heavy moult, this is new to me, so any advice will be very welcome. We haven’t ordered chickens , nor do we have the coop made yet. Just researching now. We have 5 wooded acres. Would like to get 6 chickens, buff orpington, americauna, and light brahma vareties. We would like to put the coop and run in the little woods between the house and barn. Were having trouble deciding how to make the coop. Plus we have shooting going on around the area, would that cause a problem with the load noise for the chickens? Any other suggestions for us newbies?. 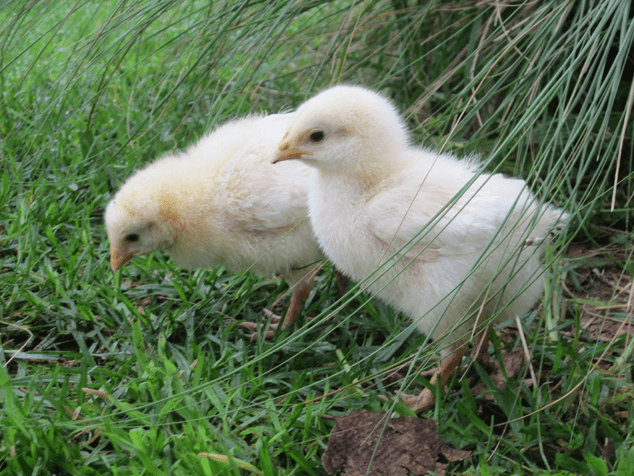 We are newbies to your Website group, but not newbies to raising egg layers and also broilers (which we did on a large scale). Broilers are hard work but also a lot of fun and you don’t realise how different they taste to supermarket chicken. But back to the eggy types. Currently we are on a new property and are starting over with chickens again. At present we have 2 Rhode Island Reds but would like to get a lot more as these 2 ladies have stopped laying and spend all day sitting together on one nest! We think they are currently broody and moulting so will give them time. PS we live in South Africa so it is HOT here. We are new at backyard chicken life. We just ordered 4, day old little ladies. I am very excited. But I am a bit overwhelmed about finding the right coop. We are not able to free range them as we have a number of dogs and “free range” cats. My stress is selecting the right coop. What is the right method of cleaning out the coop? And where do I dump the poop from chicken coop?